Just because your IT Assets reach the end of their service life doesn’t mean your data problem is over. IT asset destruction and the related data destruction are important even at the end of device lifecycles. In 2015, technology companies will ship more than 2.6 billion devices containing hard drives, according to Gartner, the IT research and advisory company. These hard drives will be inside desktop computers, laptops, servers, phones, USB thumb drives, printers, copiers and other equipment. That’s a lot of assets to consider and to secure when it comes to data destruction and computer disposal. Securis of Hampton Roads provides mobile, quiet, speedy, and secure It Asset Destruction services to organizations in Williamsburg, , and for hard drives, cell phones, backup tapes, DLT, LTO, thumb drives and other data storage devices. Performing these services at the client’s location enables their personnel to witness the process take place, thus maintaining the highest level of security and eliminating any chain of custody dilemmas. Securis will include you in every aspect of the data destruction and e-waste recycling so you can feel comfortable and have the proper documentation to meet an audit’s demands. 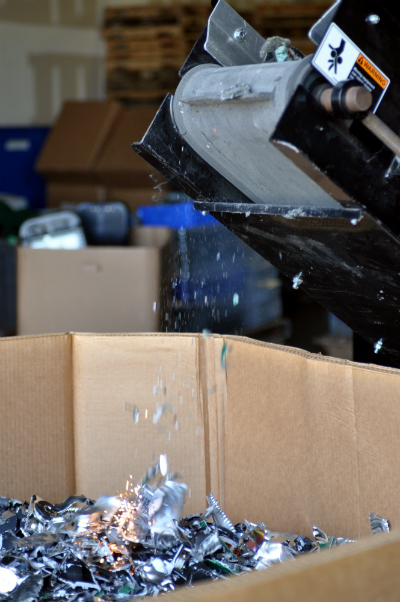 Securis onsite services can shred thousands of pounds of metal and plastic per hour. The Securis IT Asset Destruction process has been independently verified and audited based on the industry’s best practices. We strive to stay ahead of the game and maintain our edge as an industry leader. After the onsite hard drive shredding process has been completed, all destroyed materials are then securely transported back to one of Securis’ processing facilities to undergo the firm’s Zero Landfill, Zero Export treatment. Go green with your data destruction and e-waste recycling by partnering with Securis Hampton Roads today. IT asset destruction in our own facilities also meets these high standards and comes with a complete, trackable service that gives you visibility in the recycling supply chain. For a free pricing quote or to discuss your IT asset destruction needs, please fill out our quote form or call us at (757) 272-1166. We’re ready to help you with all of your computer disposals, data destruction and safe e-waste recycling needs. Copyright © 2019 Securis All rights reserved.